In the previous instalment of this series I touched on my recent hiking excursions in the neither regions of Norway. At the region where according to Nick Cave the sun shines, i.e. Oceania, arduous hiking trails can be conveniently broken up by indulging in what the paddle-able bits of the ocean, local rivers and secluded beaches have to offer, e.g. employing a kayak or canoe. 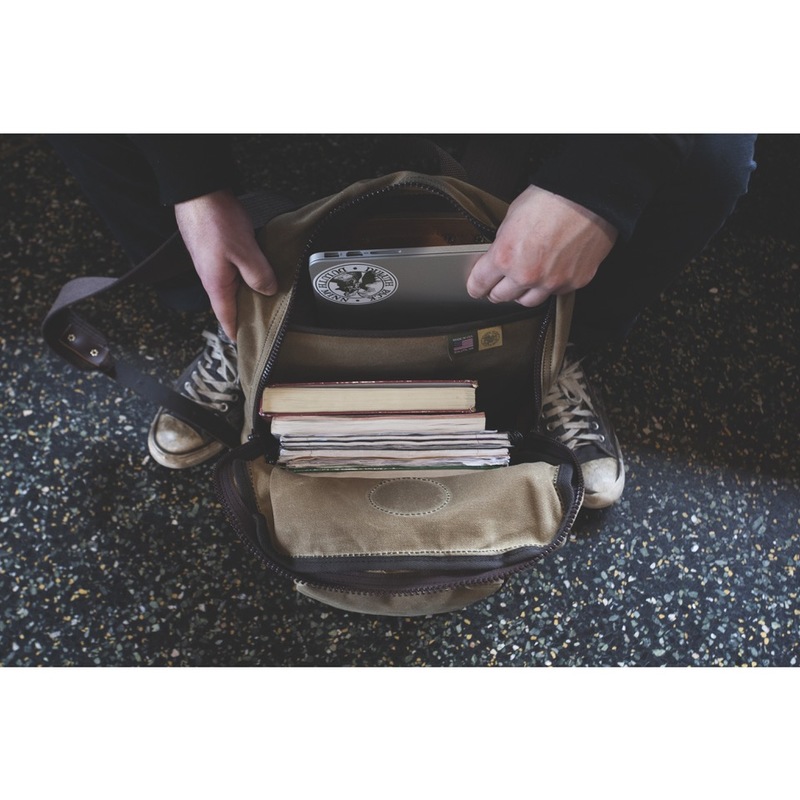 With the risk of your previous belongings getting wet, a regular backpack will not really cut it. A durable, waterproof pack it must be for the travel on water, sturdy enough to weather the elements, which is when a Duluth Pack comes in handy. Sure is, yet a telling one as it was named after the city Duluth in Minnesota, where French-Canadian Camille Poirier pioneered the style of the pack which traditionally was made of cordura nylon, leather or heavy canvas with square measurements to fit neatly inside your canoe and can accommodate large quantities of gear while still being compact. As with many zweckentfremdete things these days, the rugged and leathery style of the traditional Duluth Packs has become fashionable and hip – not merely the backpack variant but all styles, shapes and forms, from computer bags via purses to other bags that one could use for the daily commute. While the style might have become more urban, the basics and DNA still remained: Solid, practical continuously handcrafted construction that has mastered a number of tests of time and is built to last. I travel and commute a lot. Going the distance out in the territory – be it the great outdoors or more urban ones – means that one needs to lug around equipment and all kinds of belongings. My preferred Duluth Pack has served me well in a variety of contexts: For daily commute with electronics, hikes, as a carry-on on international travel. The heavy-duty design and Verarbeitung based on a burly eighteen-ounce canvas construction with adjustable leather shoulder straps. In layman’s terms: Duluth’s emissions do not just look the part. 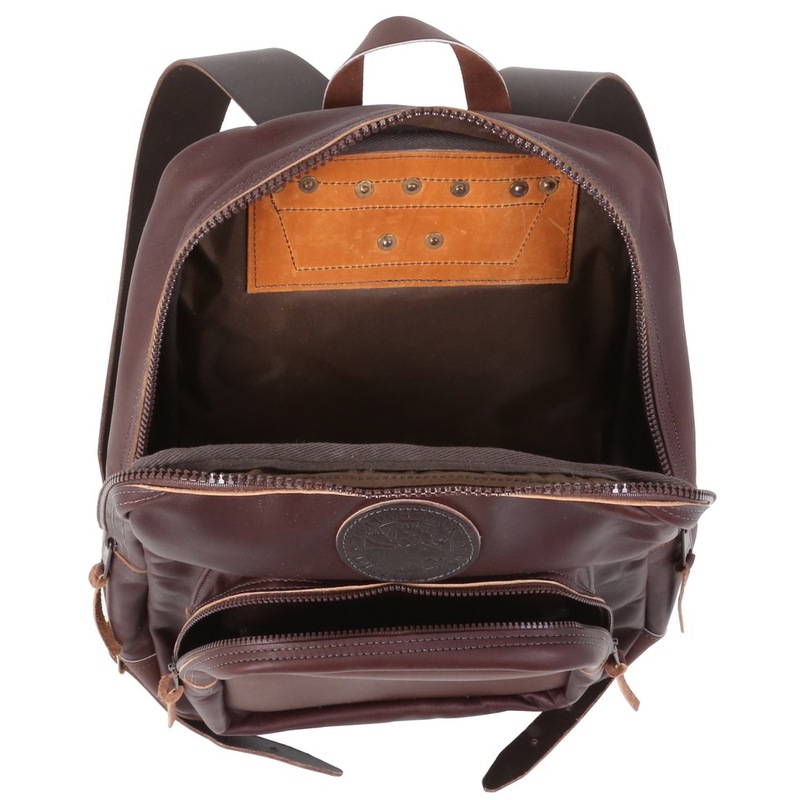 The leather handle and heavy duty zippers mean business while attention to detail shows itself with the little compartments in and outside the backpack to accommodate storage space for the smaller everyday items. Should something happen to your gear along the way; it is backed by a lifetime warranty. Specifically for laptops and computers, a specific compartment offers protection for your gadget. The fact that Duluth Pack produces its outdoor gear in a variations of fourteen colours to mix things up ensures that the packs are not only functional but also have something to offer in the realm of aesthetics – be it for your hike, leisure activities or a corporate environment.